The Wagner Heavy Coat 750 E (Electric) & G (Petrol) units are part of the Heavy Coat Hydraulic Piston Pump range. 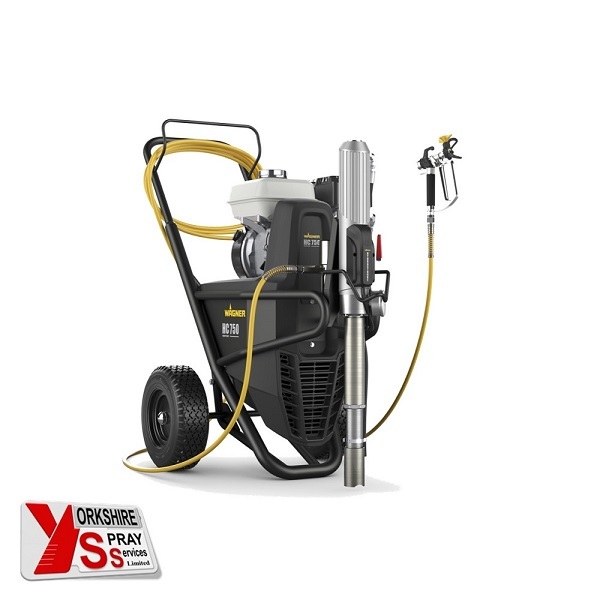 Ideal for high viscosity materials, multi-gun use and working at heights. Sprays bituminous and fire retardant products, amongst other heavy materials. 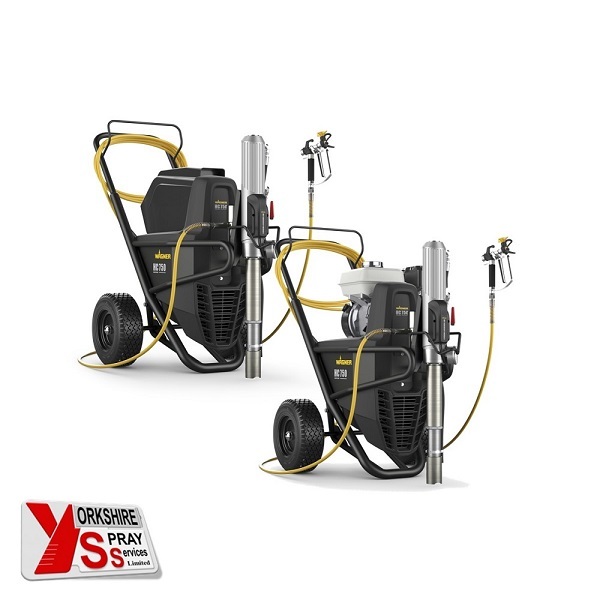 The Wagner Heavy Coat 750 E (Electric) & G (Petrol) Spray Packs are part of the Heavy Coat Hydraulic Piston Pump range. Ideal for high viscosity materials, multi-gun use and working at heights. Sprays bituminous and fire retardant products, amongst other heavy materials. The material pump of the Wagner HeavyCoat units is driven indirectly by hydraulics. The high suction power improves the application of high viscosity materials.